Wi-Fi is so commonplace that not offering it is becoming a detriment to many businesses around the UK. When it comes to offering Wi-Fi you need to make sure you are protecting yourself, your employees, your customers, and your sensitive business information. WatchGuard offers a variety of Secure Wi-Fi solutions, all of which provide the highest levels of security available on the market today. Whether you select the built-in Wi-Fi features of our tabletop network security appliances or choose to build a larger Wi-Fi network with our cloud-managed Access Points, WatchGuard has everything you need to deliver fast, safe, feature-rich Wi-Fi. Built-in Wi-Fi – Ideal for small environments where the main use case will be for employees and business tasks, our T15-W, T35-W, and T55-W tabletop network security appliances all come with Wi-Fi radios built in. Cloud-Managed Wi-Fi – Ideal for larger environments, or locations where the use cases include guest W-Fi and Wi-Fi-based Point-of-Sale (POS) tasks, WatchGuard offers stand-alone Access Points that can also integrate directly with our Firebox appliances to keep your Wi-Fi network safe. Secure your WLAN from today's sophisticated, blended threats with WatchGuard's AP120, AP320, AP325, AP420 and Outdoor AP322 wireless access points. By extending best-in-class UTM security – including application control, intrusion prevention, URL and web content filtering, virus and spam blocking and more – from any XTM or Firebox appliance to the WLAN, businesses can harness the power of mobile devices without putting network assets at risk. What's more, security policies can be applied to wired and WLAN resources simultaneously, which is critical to enforcing security standards across an entire network. Call us today for the best WatchGuard Wireless Deals available! Trade In any manufacturer's wireless access point or device for a WatchGuard AP125 with 3-yr Total Wi-Fi, including the cloud managed, patented Wireless Intrusion Prevention Service (WIPS), Wi-Fi analytics, customer engagement and interaction tools and Standard Support. 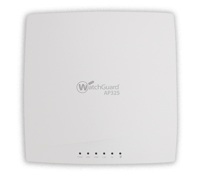 Trade In any manufacturer's wireless access point or device for a WatchGuard AP322 with 3-yr Wi-Fi Cloud subscription. Trade In any manufacturer's wireless access point or device for a WatchGuard AP325 with 3-yr Total Wi-Fi, including the cloud managed, patented Wireless Intrusion Prevention Service (WIPS), Wi-Fi analytics, customer engagement and interaction tools and Standard Support. Trade In any manufacturer's wireless access point or device for a WatchGuard AP420 with 3-yr Total Wi-Fi , including the cloud managed, patented Wireless Intrusion Prevention Service (WIPS), Wi-Fi analytics, customer engagement and interaction tools and Standard Support. Trade In any manufacturer's wireless access point or device for a WatchGuard AP125 with 3-yr Secure Wi-Fi, including the cloud managed, patented Wireless Intrusion Prevention Service (WIPS) and Standard Support. Trade In any manufacturer's wireless access point or device for a WatchGuard AP322 with 3-yr Secure Wi-Fi with patented WIPS. Trade In any manufacturer's wireless access point or device for a WatchGuard AP325 with 3-yr Secure Wi-Fi, the cloud managed, patented Wireless Intrusion Preventions Service (WIPS). 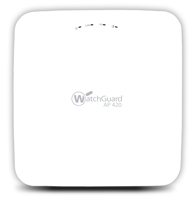 Trade In any manufacturer's wireless access point or device for a WatchGuard AP420 with 3-yr Secure Wi-Fi with patented WIPS. 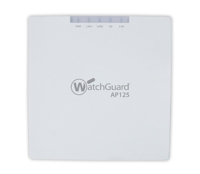 Trade In any manufacturer's wireless access point or device for a WatchGuard AP125 with 3-yr Basic Wi-Fi including hardware warranty, technical support, and software updates. 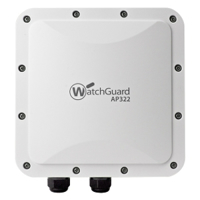 Trade In any manufacturer's wireless access point or device to a WatchGuard AP322 with 3-yr Standard Support.